Sitting on a train always brings out the botanist in me. Today I had to go to the hospital for some training in the afternoon so I was a little more alert than when on the usual early morning journey. It reminded me of four years ago when we took the Indian Pacific train from Perth to Sydney, crossing the Nullarbor Desert. My colleagues at the conference I was attending in Fremantle said ‘it’ll get more interesting after Adelaide’, assuming that nobody could be interested in the desert. However, the previous winter had been unusually wet and the Nullarbor was much greener than usual. Some information on the train said it had over 700 different plant species but flying past them at speed did not help to distinguish between them. My train today was a little slower and the plants were familiar. In urban areas the buddleia was in full flower, the stony edge of the railway being similar to its native mountain habitat in China and Tibet. Some say its success has helped the butterfly population. In the city, it had colonised a lot and derelict buildings near Lime Street. Away from the towns, Rosebay Willow-Herb was prominent. It is hard to believe that it was a scarce woodland plant in the 18 and 19th centuries. 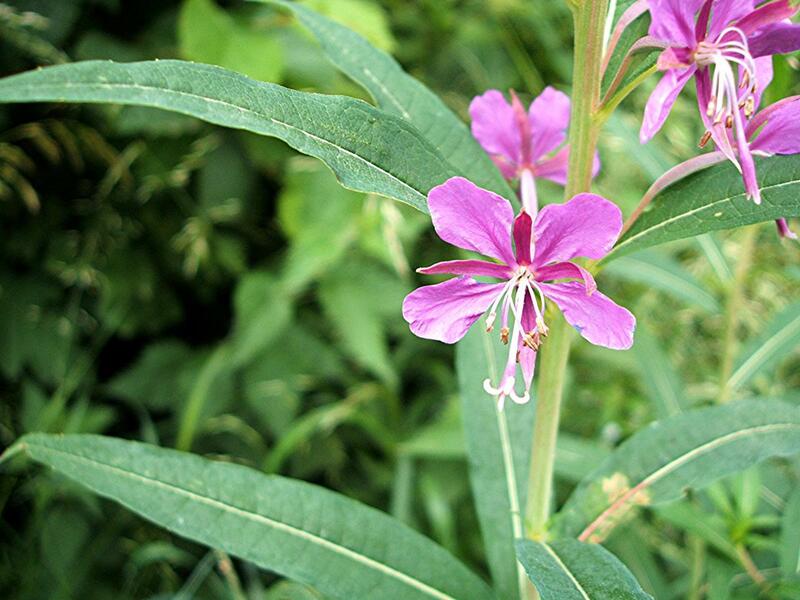 My family always called it the ‘Railway Flower’ as my grandfather was a locomotive engineer and it is known as ‘Fireweed’ in North America. It has an amazing ability to colonise sites cleared by fire, bombs, felled woodland and along the railway where seed dispersal is assisted by the slipstream of trains. It was accompanied today by Oxford Ragwort and Bindweed. I also spotted a rowan tree full of berries. My large rowan tree came down in a storm last year so the jelly made with last year’s berries might be the last for a while. I have two much smaller rowans but they produce very few berries so far. Neither are at the gate which is where they were traditionally planted in Scotland to protect the house from witches.